High-level language and interactive environment for numerical computation, visualization, and programming. 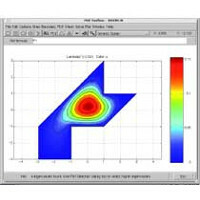 Using MATLAB, you can analyze data, develop algorithms, and create models and applications. The language, tools, and builtin math functions enable you to explore multiple approaches and reach a solution faster than with spreadsheets or traditional programming languages, such as C/C++ or Java. Provides reference standards, environmental models, and aerodynamic coefficient importing for performing advanced aerospace analysis to develop and evaluate your designs. Options for visualizing vehicle dynamics include a six-degrees-of-freedom MATLAB animation object and interfaces to FlightGear flight simulator and Simulink 3D Animation software. These options let you visualize flight data in a three-dimensional (3-D) environment and reconstruct behavioral anomalies in flight-test results. 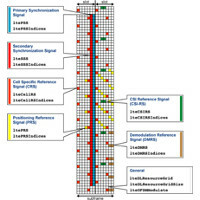 Provides algorithms for designing, simulating, and analyzing communications systems. These capabilities are provided as MATLAB functions, MATLAB System objects, and Simulink blocks. The system toolbox enables source coding, channel coding, interleaving, modulation, equalization, synchronization, and channel modeling. You can also analyze bit error rates, generate eye and constellation diagrams, and visualize channel characteristics. Using adaptive algorithms, you can model dynamic communications systems that use OFDM, OFDMA, and MIMO techniques. Algorithms support fixed-point data arithmetic and C or HDL code generation. 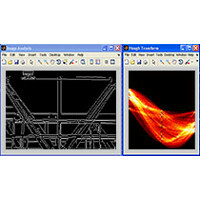 Provides algorithms and tools for the design and simulation of computer vision and video processing systems. The system toolbox includes algorithms for feature extraction, motion detection, object detection, object tracking, stereo vision, video processing, and video analysis. Tools include video file I/O, video display, drawing graphics, and compositing. 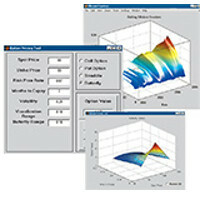 Capabilities are provided as MATLAB functions, MATLAB System objects, and Simulink blocks. For rapid prototyping and embedded system design, the system toolbox supports fixed-point arithmetic and C code generation. Industry-standard algorithms and apps for systematically analyzing, designing, and tuning linear control systems. You can specify your system as a transfer function, state-space, pole-zero-gain, or frequency-response model. Apps and functions, such as step response plot and Bode plot, let you visualize system behavior in time domain and frequency domain. 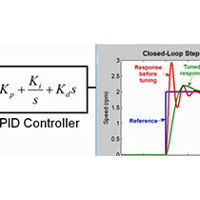 You can tune compensator parameters using automatic PID controller tuning, Bode loop shaping, root locus method, LQR/LQG design, and other interactive and automated techniques. You can validate your design by verifying rise time, overshoot, settling time, gain and phase margins, and other requirements. 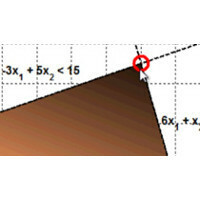 App and functions for fitting curves and surfaces to data. The toolbox lets you perform exploratory data analysis, preprocess and post-process data, compare candidate models, and remove outliers. You can conduct regression analysis using the library of linear and nonlinear models provided or specify your own custom equations. The library provides optimized solver parameters and starting conditions to improve the quality of your fits. The toolbox also supports nonparametric modeling techniques, such as splines, interpolation, and smoothing. 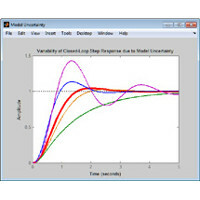 Run computationally intensive MATLAB programs and Simulink models on computer clusters, clouds, and grids. You develop your program or model on a multicore desktop computer using Parallel Computing Toolbox and then scale up to many computers by running it on MATLAB Distributed Computing Server. The server supports batch jobs, parallel computations, and distributed large data. The server includes a built-in cluster job scheduler and provides support for commonly used third-party schedulers. 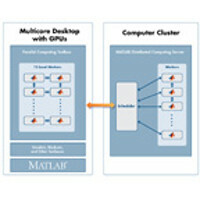 MATLAB Distributed Computing Server provides licenses for all MathWorks toolboxes and blocksets, so you can run your MATLAB programs on a cluster without having to separately acquire additional product-specific licenses for each computer in the cluster. See the list of products ineligible for use with MATLAB Distributed Computing Server. 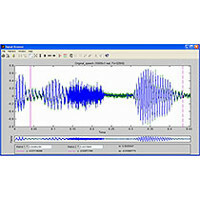 Provides algorithms for designing and simulating signal processing systems. These capabilities are provided as MATLAB functions, MATLAB System objects, and Simulink blocks. The system toolbox includes design methods for specialized FIR and IIR filters, FFTs, multirate processing, and DSP techniques for processing streaming data and creating real-time prototypes. You can design adaptive and multirate filters, implement filters using computationally efficient architectures, and simulate floating-point digital filters. 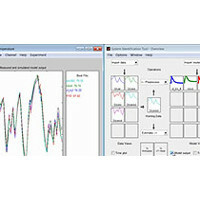 Tools for signal I/O from files and devices, signal generation, spectral analysis, and interactive visualization enable you to analyze system behavior and performance. For rapid prototyping and embedded system design, the system toolbox supports fixed-point arithmetic and C or HDL code generation. Provides functions for modeling economic data. You can select and calibrate economic models for simulation and forecasting. 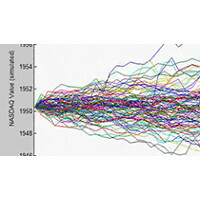 Time series capabilities include univariate ARMAX/GARCH composite models with several GARCH variants, multivariate VARMAX models, and cointegration analysis. The toolbox provides Monte Carlo methods for simulating systems of linear and nonlinear stochastic differential equations and a variety of diagnostics for model selection, including hypothesis, unit root, and stationarity tests. Provides functions for mathematical modeling and statistical analysis of financial data. You can optimize portfolios of financial instruments, optionally taking into account turnover and transaction costs. The toolbox enables you to estimate risk, analyze interest rate levels, price equity and interest rate derivatives, and measure investment performance. Time series analysis functions and an app let you perform transformations or regressions with missing data and convert between different trading calendars and day-count conventions. 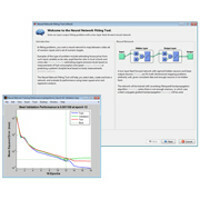 Provides functions, apps, and a Simulink block for analyzing, designing, and simulating systems based on fuzzy logic. The product guides you through the steps of designing fuzzy inference systems. Functions are provided for many common methods, including fuzzy clustering and adaptive neurofuzzy learning. Provides methods that search for global solutions to problems that contain multiple maxima or minima. It includes global search, multistart, pattern search, genetic algorithm, and simulated annealing solvers. You can use these solvers to solve optimization problems where the objective or constraint function is continuous, discontinuous, stochastic, does not possess derivatives, or includes simulations or black-box functions with undefined values for some parameter settings. Genetic algorithm and pattern search solvers support algorithmic customization. You can create a custom genetic algorithm variant by modifying initial population and fitness scaling options or by defining parent selection, crossover, and mutation functions. You can customize pattern search by defining polling, searching, and other functions. Enables you to acquire images and video from cameras and frame grabbers directly into MATLAB and Simulink. You can detect hardware automatically and configure hardware properties. Advanced workflows let you trigger acquisition while processing in-the-loop, perform background acquisition, and synchronize sampling across several multimodal devices. With support for multiple hardware vendors and industry standards, you can use imaging devices ranging from inexpensive Web cameras to high-end scientific and industrial devices that meet low-light, high-speed, and other challenging requirements. Provides a comprehensive set of reference-standard algorithms, functions, and apps for image processing, analysis, visualization, and algorithm development. You can perform image enhancement, image deblurring, feature detection, noise reduction, image segmentation, geometric transformations, and image registration. Many toolbox functions are multithreaded to take advantage of multicore and multiprocessor computers. Image Processing Toolbox supports a diverse set of image types, including high dynamic range, gigapixel resolution, embedded ICC profile, and tomographic. 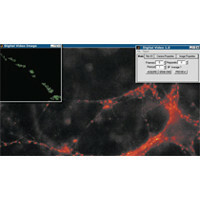 Visualization functions let you explore an image, examine a region of pixels, adjust the contrast, create contours or histograms, and manipulate regions of interest (ROIs). With toolbox algorithms you can restore degraded images, detect and measure features, analyze shapes and textures, and adjust color balance. Provides standard-compliant functions and tools for the design, simulation, and verification of LTE and LTE-Advanced communications systems. 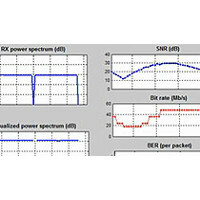 The system toolbox accelerates LTE algorithm and physical layer (PHY) development, supports golden reference verification and conformance testing, and enables test waveform generation. With the system toolbox, you can configure, simulate, measure, and analyze end-to-end communications links. You can also create and reuse a conformance test bench to verify that your designs, prototypes, and implementations comply with the LTE standard. Provides functions, an app, and Simulink blocks for systematically analyzing, designing, and tuning model predictive controllers. You can set and modify the predictive model, control and prediction horizons, input and output constraints, and weights. The toolbox enables you to diagnose issues that could lead to run-time failures and provides advice on changing weights and constraints to improve performance and robustness. By running different scenarios in linear and nonlinear simulations, you can evaluate controller performance. You can adjust controller performance as it runs by tuning weights and varying constraints. For rapid prototyping and embedded system design, the toolbox supports C-code generation. Apps and design tools for optimally calibrating complex powertrain systems using statistical modeling and numeric optimization. You can define test plans, develop statistical models, and generate calibrations and lookup tables for complex high-degree-of-freedom engines that would require exhaustive testing using traditional methods. By using the toolbox with MATLAB and Simulink, you can develop a process for systematically identifying the optimal balance of engine performance, emissions, and fuel economy, and reuse statistical models for control design, hardware-in-the-loop testing, or powertrain simulation. 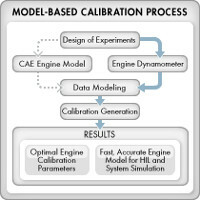 Learn more about Generating Optimal Engine Calibrations. Functions and apps for modeling complex nonlinear systems that are not easily modeled with a closed-form equation. Neural Network Toolbox supports supervised learning with feedforward, radial basis, and dynamic networks. It also supports unsupervised learning with self-organizing maps and competitive layers. With the toolbox you can design, train, visualize, and simulate neural networks. You can use Neural Network Toolbox for applications such as data fitting, pattern recognition, clustering, time-series prediction, and dynamic system modeling and control. To speed up training and handle large data sets, you can distribute computations and data across multicore processors, GPUs, and computer clusters using Parallel Computing Toolbox. Algorithms for standard and large-scale optimization. These algorithms solve constrained and unconstrained continuous and discrete problems. The toolbox’s optimization software includes functions for linear programming, quadratic programming, binary integer programming, nonlinear optimization, nonlinear least squares, systems of nonlinear equations, and multiobjective optimization. You can use them to find optimal solutions, perform tradeoff analyses, balance multiple design alternatives, and incorporate optimization methods into algorithms and models. Solve computationally and data-intensive problems using multicore processors, GPUs, and computer clusters. High-level constructs—parallel for-loops, special array types, and parallelized numerical algorithms—let you parallelize MATLAB applications without CUDA or MPI programming. You can use the toolbox with Simulink to run multiple simulations of a model in parallel. 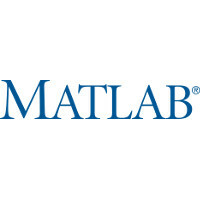 The toolbox provides twelve workers (MATLAB computational engines) to execute applications locally on a multicore desktop. Without changing the code, you can run the same application on a computer cluster or a grid computing service (using MATLAB Distributed Computing Server). You can run parallel applications interactively or in batch. Contains tools for the study and solution of partial differential equations (PDEs) in two-space dimensions (2-D) and time. A PDE app and functions let you preprocess, solve, and postprocess generic 2-D PDEs for a broad range of engineering and science applications. Provides algorithms and tools for the design, simulation, and analysis of phased array signal processing systems. 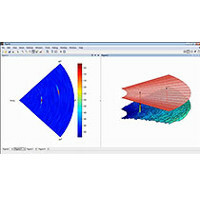 These capabilities are provided as MATLAB functions and MATLAB System objects. 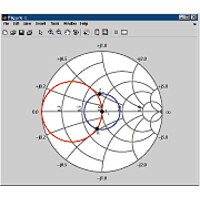 The system toolbox includes algorithms for waveform generation, beamforming, direction of arrival estimation, target detection, and space-time adaptive processing. The system toolbox lets you build monostatic, bistatic, and multistatic architectures for a variety of array geometries. You can model these architectures on stationary or moving platforms. 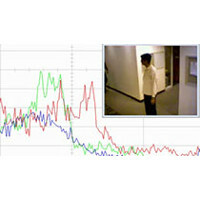 Array analysis and visualization apps help you evaluate spatial, spectral, and temporal performance. The system toolbox lets you model an end-to-end phased array system or use individual algorithms to process acquired data. Provides functions and an app for designing, modeling, analyzing, and visualizing networks of radio frequency (RF) components. You can use RF Toolbox software for working on wireless communications, radar, and signal integrity projects. Provides functions, algorithms, and blocks for analyzing and tuning control systems for performance and robustness. You can create uncertain models by combining nominal dynamics with uncertain elements, such as uncertain parameters or unmodeled dynamics. You can analyze the impact of plant model uncertainty on control system performance and identify worst-case combinations of uncertain elements. H-infinity and mu-synthesis techniques let you design controllers that maximize robust stability and performance. The toolbox automatically tunes both SISO and MIMO controllers. These can include decentralized, fixed-structure controllers with multiple tunable blocks spanning multiple feedback loops. The toolbox lets you tune one controller against a set of plant models. You can also tune gain-scheduled controllers. 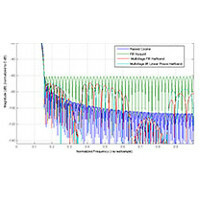 You can specify multiple tuning objectives, such as reference tracking, disturbance rejection, stability margins, and closed-loop pole locations. 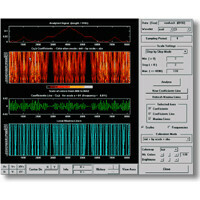 Provides industry-standard algorithms and apps for analog and digital signal processing (DSP). You can use the toolbox to visualize signals in time and frequency domains, compute FFTs for spectral analysis, design FIR and IIR filters, and implement convolution, modulation, resampling, and other signal processing techniques. Algorithms in the toolbox can be used as a basis for developing custom algorithms for audio and speech processing, instrumentation, and baseband wireless communications. 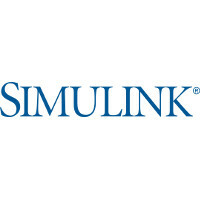 Simulink is a block diagram environment for multidomain simulation and Model-Based Design. It supports system-level design, simulation, automatic code generation, and continuous test and verification of embedded systems. Simulink provides a graphical editor, customizable block libraries, and solvers for modeling and simulating dynamic systems. 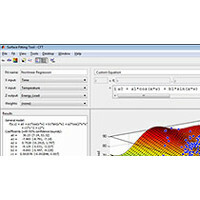 It is integrated with MATLAB, enabling you to incorporate MATLAB algorithms into models and export simulation results to MATLAB for further analysis. 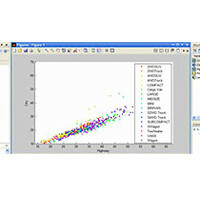 Connects Excel spreadsheet software with the MATLAB workspace, enabling you to access the MATLAB environment from an Excel spreadsheet. With Spreadsheet Link EX software, you can exchange data between MATLAB and Excel, taking advantage of the familiar Excel interface while accessing the computational speed and visualization capabilities of MATLAB. Provides statistical and machine learning algorithms and tools for organizing, analyzing, and modeling data. You can use regression or classification for predictive modeling, generate random numbers for Monte Carlo simulations, use statistical plots for exploratory data analysis, and perform hypothesis tests. For analyzing multidimensional data, Statistics Toolbox includes algorithms that let you identify key variables that impact your model with sequential feature selection, transform your data with principal component analysis, apply regularization and shrinkage, or use partial least squares regression. The toolbox provides supervised and unsupervised machine learning algorithms, including boosted and bagged decision trees, K-means and hierarchical clustering, K-nearest neighbor search, Gaussian mixtures, the expectation maximization algorithm, and hidden Markov models. With these algorithms you can extract meaning from your data and develop predictive models. Provides functions for solving and manipulating symbolic math expressions and performing variable-precision arithmetic. You can analytically perform differentiation, integration, simplification, transforms, and equation solving. You can also generate code for MATLAB, Simulink, and Simscape from symbolic math expressions. 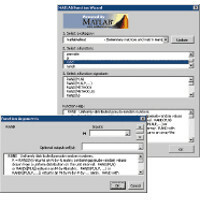 Symbolic Math Toolbox includes the MuPAD language, which is optimized for handling and operating on symbolic math expressions. It provides libraries of MuPAD functions in common mathematical areas such as calculus and linear algebra and in specialized areas such as number theory and combinatorics. You can also write custom symbolic functions and libraries in the MuPAD language. The MuPAD Notebook app lets you document symbolic math derivations with embedded text, graphics, and typeset math. You can share the annotated derivations as HTML or as a PDF. 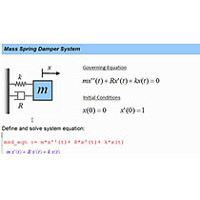 Constructs mathematical models of dynamic systems from measured input-output data. It provides functions, a System Identification app, and Simulink blocks for creating and using models of dynamic systems not easily modeled from first principles or specifications. 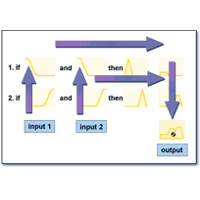 You can use time-domain and frequency-domain input-output data to identify continuous-time and discrete-time transfer functions, process models, and state-space models. The toolbox provides maximum likelihood, prediction-error minimization (PEM), subspace system identification, and other identification techniques. For nonlinear system dynamics, you can estimate Hammerstein-Weiner models and nonlinear ARX models with wavelet network, tree-partition, and sigmoid network nonlinearities. The toolbox performs grey-box system identification for estimating parameters of a user-defined model. You can use the identified model for prediction of system response and for simulation in Simulink. The toolbox also lets you model time-series data and perform time-series forecasting. Provides functions and an app for developing wavelet-based algorithms for the analysis, synthesis, denoising, and compression of signals and images. The toolbox lets you explore wavelet properties and applications such as speech and audio processing, image and video processing, biomedical imaging, and 1-D and 2-D applications in communications and geophysics.